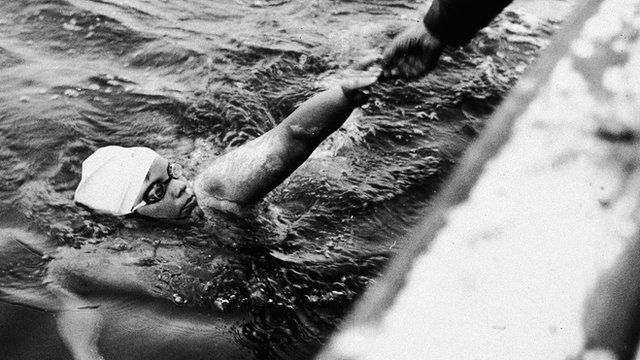 In 1987, Lynne Cox, an American long distance swimmer, braved the frigid waters of the Bering Strait to swim between the US and the Soviet Union in a bid to promote peace between the Cold War enemies. The swim was fraught with danger; though the route between two tiny islands on either side of the international maritime border was just 4.3km (2.7 miles) the water was very cold. She knew that if she did not swim fast, the water temperature of 3.3C could prompt a cardiac arrest brought on by hypothermia. Lynne spoke to Witness about how her swim managed to ease international tensions.